Apart from what else is going on you can quite clearly see the difference colourings between the male and female Kestrel. oh wow! what a great shot..love it a lot! Mmmm...does that make you a peeping tom though? ooh this is so wonderful, thank you for sharing! Why can I only favourite this once? An amazing photograph. 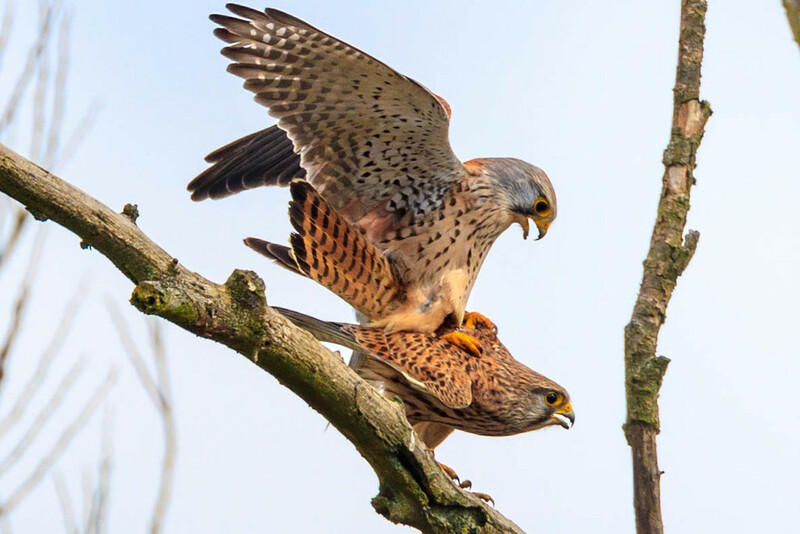 Getting so close to a kestrel is extremely difficult, but capturing two in such an action shot is a amazing.